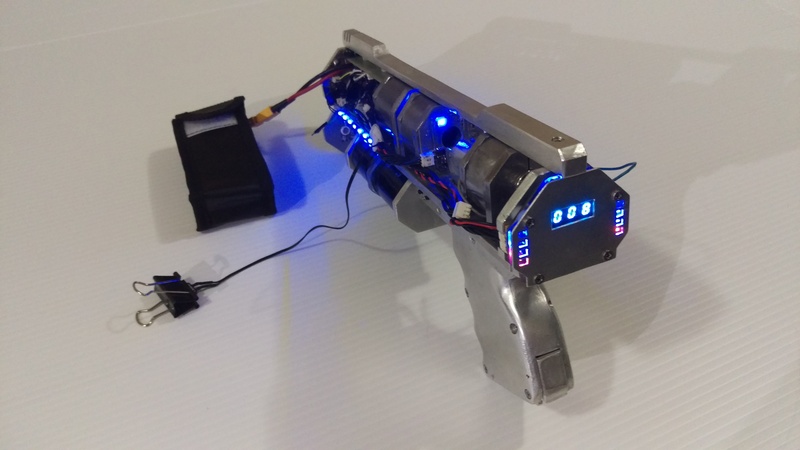 The APA-1 is an effort to make a multistage coilgun and experiment with a new charging, power source, switching, and control systems. Nearly all structural parts are aluminum with the only steel being low carbon casings for the accelerator and injection coils and the machine screws. All parts were cut, sanded, and shaped by hand with just a hacksaw, file, and sandpaper (including the handle). The only exception is drilling, which is primarily done with a drill press as reasonable accuracy is required. Charger Type: High Power Flyback Converter >70% Efficiency.